Who is the greatest devotee of Lord Shiva? If you are willing to find the answer to this question. In this post, we have described the name of Lord Shiva greatest devotee. The greatest devotee of Lord Shiva - Lakulesh. 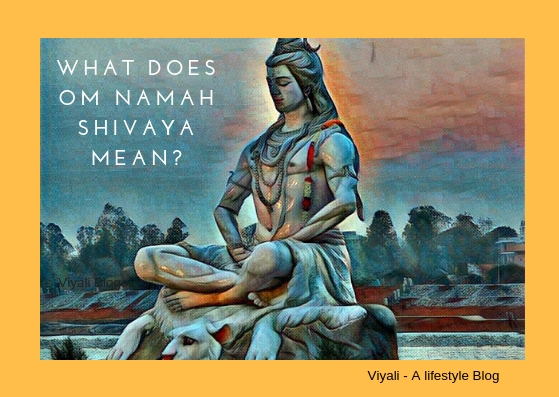 Although Lord Shiva has countless devotees, every one of them is equally important and dear to Mahakaal; but this post is about someone who is different and unique from everybody else and regarded as the greatest devotee of Lord Shiva. Therefore before starting the foremost thing, reverence doesn't come in shape, size and quantity hence no one can compare the devotion of one devotee with other. 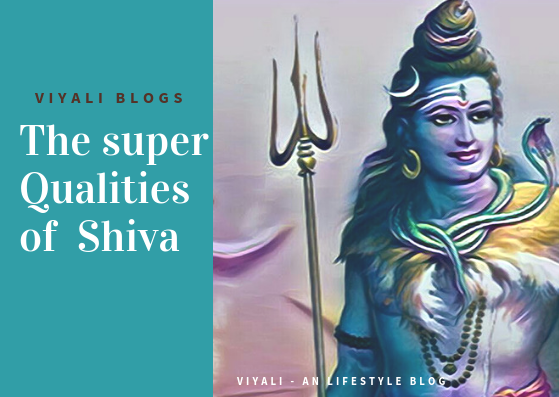 In this post, we have covered five highest devotees of Shiva, but there is someone else who is not included in this list but holds a special place in Shiva's heart. It is not possible to define the glory of everyone on the list. We have just compiled the story collection of greatest Shiv Bhakt. When we come across Vedic Puranas like Vishnu Purana and Shiva Purana they fill you with joy. There are many beautiful incidents featured in those Puranas out of them, Shiva gifting Sudarshan Chakra to Vishnu is spellbinding. After taking a bath in the Manikarnika Ghat, Lord Vishnu decides to worship Shiva with one Lakh [100 k] lotus flowers. After pouring water on Lingam, Lord Vishnu decides to offer Lotus one by one on Lingam. Meanwhile, Shiva decides to test the reverence of Lord Vishnu on him; Mahadev hides a lotus flower from the collection of lotuses. Now there was the shortage of only one lotus flower in the collection. Lord Vishnu starts offering lotus flowers on lingam one by one. After finding the shortage of one lotus, Vishnu tries to find the lost lotus. While thinking that Lord Vishnu decides to offer his eyes on Lingam as the replacement of lost flower; As Vishnu was going to pluck out his eyes, Shiva stops Lord Narayan. Shiva - " Narayan, you are too close to my heart. You are my Aradhya; therefore, I cannot let that happen. Ask anything my Lord; I will surely present that to you." Lord Vishnu - "My great Lord, Shiva I am thankful to you that got pleased by my offerings and came here. That is enough for me." Shiva - "I am delighted, Narayan; I have to give something today. The reverence you have shown towards me, so from today Kartik Sukla Chaturdashi, this day will be celebrated as Vaikuntha Chaturdashi. Who so ever will worship you first on this auspicious day than me. He will get instant Moksha (salvation)." Lord Vishnu -"You are too kind, lord." Shiva was too pleased with Lord Vishnu that Shiva gifted the powerful Sudarshan Chakra to Lord Vishnu. Shiva - "Narayan, this Chakra will be invincible in all aspect. It will hold similar strength as my trident; In all three realms, no other weapon will able to counter it. 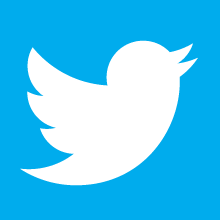 Hence, it will help you to defeat every demon." Since then Sudarshan Chakra is the weapon of Lord Vishnu. This chakra returns to Lord Vishnu after destroying the enemy as Shiva's trident returns to Shiva after finishing his task. Lord Krishna avatar of Lord Vishnu used Sudarshan Chakra to kill Shishupal in a massive gathering of warriors. Shiva is the greatest destroyer of darkness ; for doing that energy is required. Everyone knows that goddess Shakti is the consort of Lord Shiva. Therefore, Shiva is Shaktipati. Shakti manifested herself as goddess Parvati, daughter of mountain king Himavan. 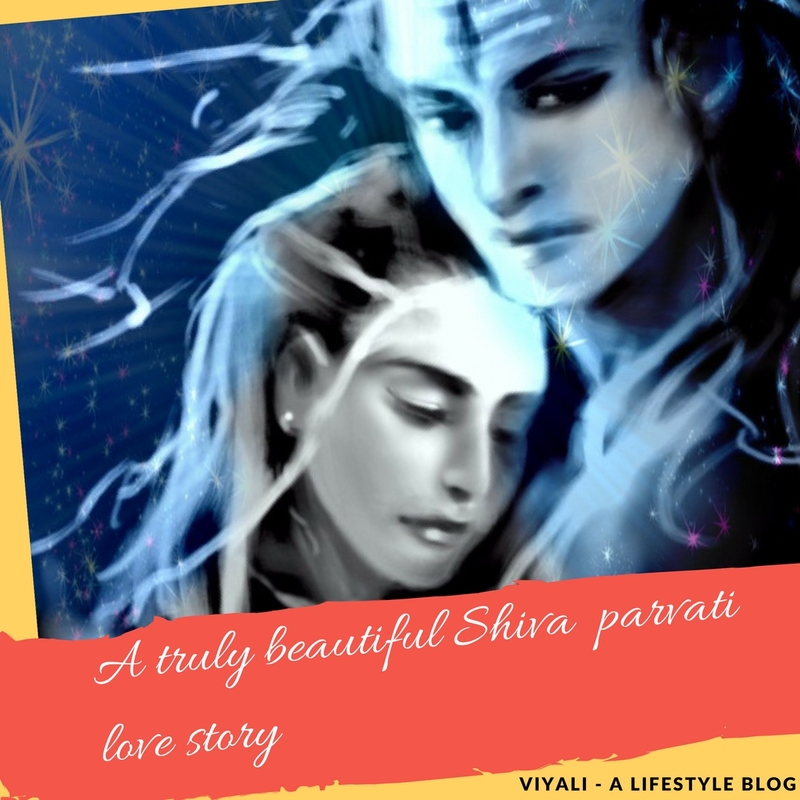 Both, Shiva and Parvati are acknowledged as the beautifully iconic divine couple. Time to time, Shakti has manifested herself to marry Shiva. Firstly as Goddess Sati then Goddess Parvati. Most of us know how the loss of Goddess Sati turned Shiva towards Vairagya. Goddess Parvati took birth to marry Lord Shiva so that equilibrium could get established in the world after the loss of Daksha daughter, Sati. Devi Parvati did the hardest penance to achieve Shiva as her husband. Hence, Goddess Parvati is also involved in Lord Shiva devotees list. Shiva is Adipurushua regarded as the alpha male; whereas, Goddess Parvati is the iconographic form of nature. She takes care of Shiva by giving him proper nourishment, care, and environment so that Shiva could take care of universal phenomena. So far we have defined different dimensions of Shiva devotees including Lord Vishnu and Goddess Parvati. Shiva's white colored bull, Nandi is the manifestation of justice, faith, devotion, and Vairagya; He is the Vahana of Shiva. Shiva granted a boon to Bull Nandi which enabled Nandi to stay in Kailash with him as his devotees, companion and friend. Before Shiva and Sati marriage, Nandi was the only in the Kailash who recognized hidden agony of Lord Shiva. Shiva never expressed his grief of separation with his Shakti with anyone, but Nandi experienced it. As the devotee of Mahadev that is the selfless emotional attachment, Nandi has with Lord Shiva. When Nandi came to know about Goddess Sati is the incarnation of Shakti. That little happiness filled him with high optimism; Nandi was extremely pleased. Nandi supported and encouraged Goddess Sati in her journey towards Shiva. He guided Goddess Sati, how could she get Shiva as the husband. By seeing Nandi efforts of bringing Sati and Shiva closer; Shiva once scolded Nandi, He even made Nandi return to his Father Shilada house. After getting apart from the Kailash premises, Nandi stops taking his meal and becomes mute and deaf toward outer stimuli's and indulges himself in the profound thoughts of Shiva. By seeing the condition of melt-hearted Nandi, on request of Nandi Father Shilada, Shiva appears to Nandi and admires his devotion towards him. Before taking Nandi to Kailash, Shiva blesses a boon to Nandi that who so ever will request their prayers in your ears. Their prayers will directly reach to me without any resistance. Since then people speak their prayers and wishes in the ears of the Nandi. 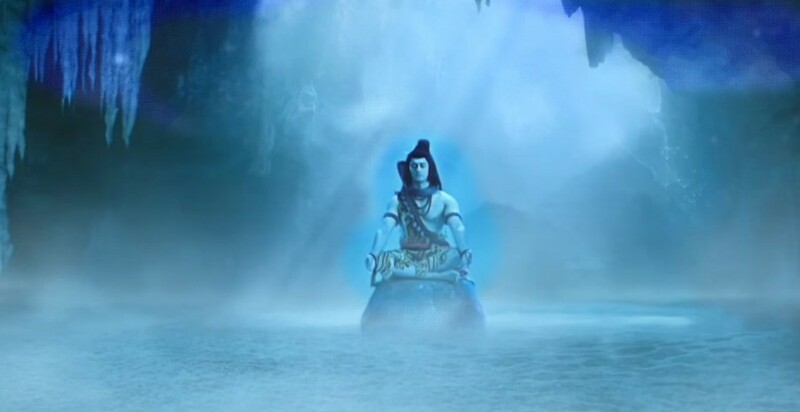 It reaches to Shiva without any barrier. 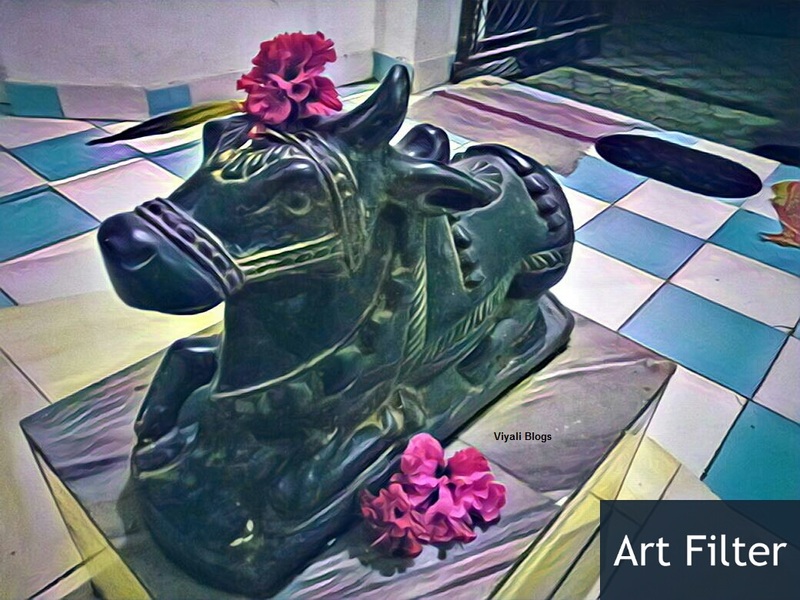 Nandi is often seen sitting in front of Shiva temple as Bull whose limbs folded viewing Shiva continually which projects his devotion for Shiva. The greatest demon Ravana was one of the most famous devotees of Lord Shiva. He pleased Shiva by offering his nine head, and at the time of submitting his tenth head Shiva appeared in front of him and stopped him by doing so. Shiva returned all heads to Ravana; that gave a name to Ravana that is Dashanan Ravan. After getting pleased by Ravana way of devotion, Shiva blessed him with the immense strength and gifted a weapon known as Chandrahas. That level of extreme power helped him win all planets including Shaani. Ravana doesn't stop there; He even tried to make Shiva Personalize. As we know, Ravana was an astonishing architect, musician, and admirer of Vedic art and literature. 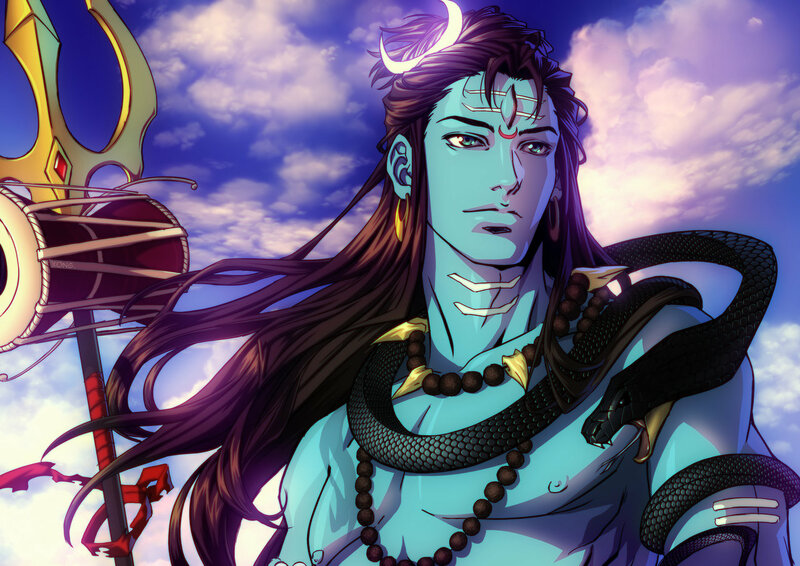 He developed a various musical instrument to please Shiva. Once he tore his stomach and pulled out his intestine and played Veena with his instrument to please great Lord Shiva. Shiva got pleased with his devotion and gave him mighty strength which he used in the war against Lord Rama . Ravana devotion didn't stop there; Ravan even tried to Lift entire mount Kailash but Shiva put his feet thumb down to Mount Kailash and Ravana hands get suppressed beneath the Kailash. For seven days Ravana hands remained beneath the Kailash making him feel his mistakes and immense pain. While handling all the pain, again for pleasing Shiva; he created Shiva Tandav Strotra in which he did the grand apotheosis of Lord Shiva. Shiva got impressed with the devotion of Ravana and lifted his feet thumb over Kailash ground. Ravana thanked Shiva for Shiva's generosity and returned to Lanka. Shiva devotee list is incredible. It contains demons, humans, animals, Rivers, sages, information seekers, nature, demigods, Lord Vishnu, Ghost, Gandharvas, Yakshas, and others. There is one particular devotee of Shiva who's devotion is free from outer formalities of the world. Who even made his Lord Shiva his devotee. His name is Lakulesh. Such devotees don't follow the rules and customs while worshipping Shiva. On the other side, Lord understands and admires their devotee admiration for him. Once upon a time, a young devotee named Lakulesh takes an oath to worship Shiva till the last breath. It was the time before Sati's birth. He did a hard penance upon Shiva without the intake of any food for several Kalpas. Shiva appears in front of him and asks Lakulesh to take some boon. Lakulesh Sees Shiva in the Vairagi guise. A certain kind of shine comes into Lakulesh eyes. Shiva's that morph gets stored in his heart and mind of the Lakulesh. He gets down on the feet of Shiva. Lakulesh - "I didn't meditate on you in the hope of receiving something." Shiva delighted by his devotion; he again encourages Lakulesh to ask a boon. Shiva informs Lakulesh that when a devotee penance gets successful, then he has to give something to his devotee in return of devotee penance. Finally, Lakulesh asked a common boon from Shiva. Lakulesh - "Oh my lord till the last breath of my life; I want to worship you." Shiva grants the wish of Lakulesh and gives an additional boon that he will live a long lifespan. 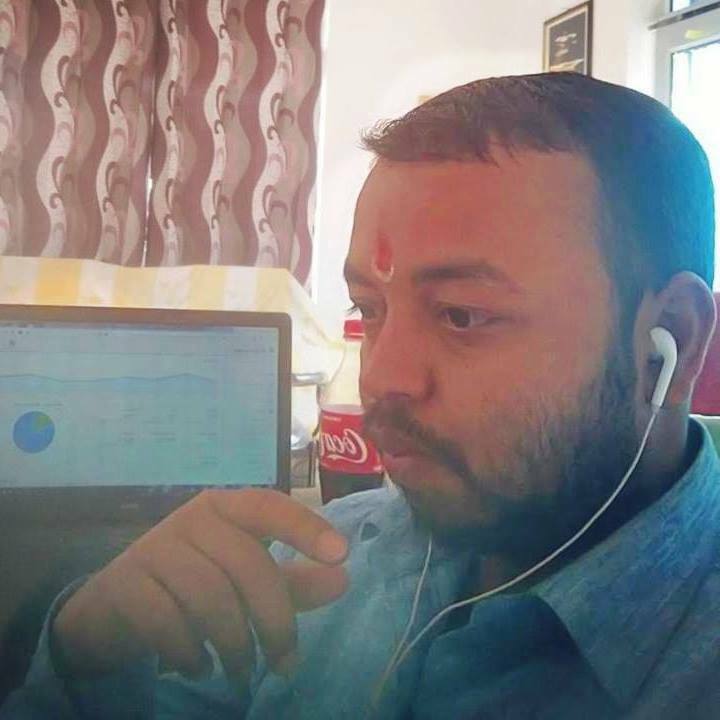 After that Lakulesh drinks the Kailash Mansarovar lake water and chooses an appropriate place to worship Shiva again; that was the level of Lakulesh devotion for Shiva. Lakulesh gets involve in the meditation for many Kalpas. In the meantime, Sati takes birth to marry Shiva; but after the wedding, unfortunately, dies in the Yagna of Prajapati Daksha. Then second time Shakti incarcerates herself again as Parvati. Parvati performs the hardest austerity upon Shiva to get him as her husband. Shiva gets married to Parvati through a grand wedding ceremony and slowly - slowly takes the whole responsibility of Mount Kailash. After many years of chanting Om Namah Shiva, Lakulesh comes out of the meditation. 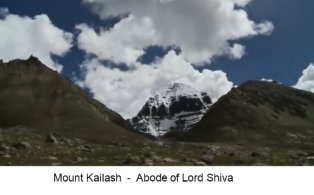 On Kailash, Shiva gets to realize that his devotee came out of years of meditational practice. That brings happiness for Shiva. Lakulesh hears the chant of Shiva mantra; he decides to approach slowly towards the source of Shiva's mantra. His matted hairs were touching the soil. He was carrying a wooden trident with him. Lakulesh was moving slowly in an unbalanced way of walking; his nails were long. He reaches a beautiful kingdom where a Yagya got accomplished, and respectable delegates were enjoying Yagya Prasad. King's man observes his condition and felt that he is undernourished. They request Lakulesh to consume some Prasad. Lakulesh accepts the Prasad of Shiva and sits in the position to eat it. Suddenly, he views beautiful Shiva Parvati Idols in the Yagya. He stands on his feet and moves towards Shiva idols; Everyone gets shocked by the unusual behavior of the Lakulesh. Kingsmen try to stop him, but he keeps moving toward Shiva idols. King of the kingdom holds his men to see what happens. Lakulesh lifts Shiva's idol and put down just next to him. He takes a bite of his prasad and offers Shiva idol to taste it. King and everyone gets angry at Lakulesh by seeing his strange Behavior. Lakulesh Again requests Shiva idol to take a bite of his prasad, but Shiva idol doesn't consume it. By seeing Shiva idol not consuming his prasad Lakulesh again request Shiva Idol to consume the prasad. Lakulesh tells to Shiva idol that if you are stubborn, Shiva, then I m too stubborn. I will not eat before making you eat the Prasad. After a few moments, observing Shiva idol not consuming the Prasad Lakulesh asks a question to Shiva, if you will not eat the prasad, then How will I eat it? Due to your stubborn nature, I will die hungry here. Please accept the prasad, Shiva; Otherwise, I will beat you with my wooden stick and only you will be responsible for that. Have you heard me, Shiva? Again Shiva's Idol doesn't consume Prasad. Lakulesh takes his stick in his hands, but King's man stops him from doing so. The king expresses his rage on Lakulesh; He punishes him by a hard stick. King reveals that he has broken rules of worshipping Shiva. Firstly he had apart Shiva with Goddess Parvati. Secondly, he tried to hit Shiva idol with his stick. Next time when the king tries to hit Lakulesh, Shiva appears as a mystical Aghori and defines that they are Vairagi who doesn't know how to worship Shiva as elite people. He tells that Aghori doesn't have a particular style of worshipping Shiva. He warns everyone to stop punishing Lakulesh. Kingsmen ask Who you are? Aghori replies that We were moving through your kingdom. We lost our path and by mistake; my guru reached here. He must have heard Shiva name that's why he came here. What inauspicious thing you were going to do? King - do you know what your guru was doing here. 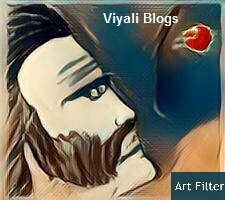 Aghori sage replies that I know he must be talking with Shiva. Our Guru doesn't eat food without making Shiva eat first. King - So it means Shiva listens to your guru? Aghori makes Lakulesh to stands on his feet. Lakulesh offers prasad to Shiva. This time Shiva idol consumes the Prasad of Lakulesh. King get surprised by seeing Shiva idol consuming Prasad. He gets down on the knees of Lakulesh and seeks an apology from the Lakulesh. 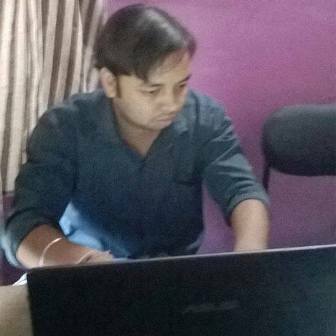 Lakulesh moves from King palace and mystic Aghori Shiva moves with him. In the middle of their journey, Lakulesh gets collapse down. 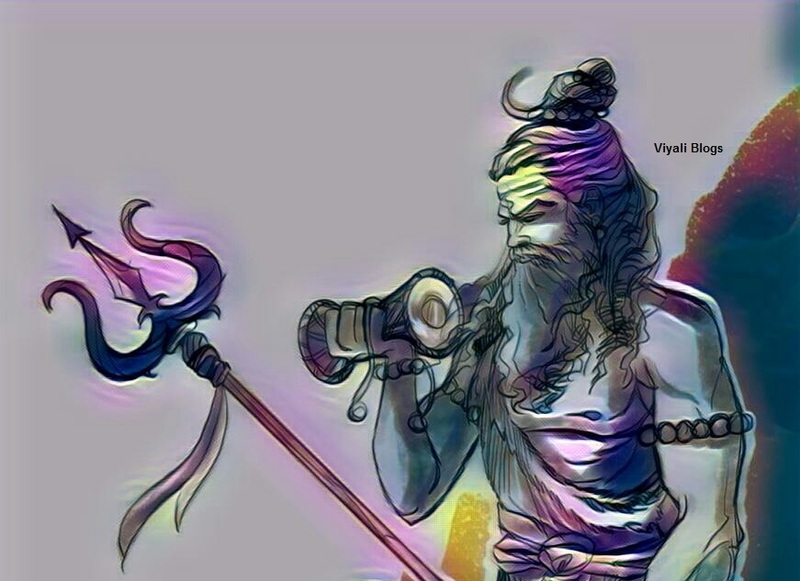 Aghori Shiva request Lakulesh to have some water but Lakulesh refuses by saying that before drinking Kailash Mansarovar water, he cannot drink different water. Old Lakulesh was weak and thirsty Shiva gets Mansarovar water for Lakulesh which makes Lakulesh wonder that ordinary man cannot fetch Kailash Mansoravar water so fast. Lakulesh, ask Aghori Shiva to reveal his identity; Shiva smiles, and disappear. Lakulesh identifies Aghori sage as Shiva. Lakulesh decides to run towards Kailash and reaches Kailash where Nandi welcomes him. It is the moment when a great devotee of Shiva meets another one. Finally, Lakulesh meets Shiva and seeks an apology for not identifying him. Later Lakulesh understands that Shiva is married to Goddess Parvati and his lord has become a great family man. Lakulesh worships both Shiva and Parvati and takes their combined blessing. It is a beautiful definition of reverence and emotions which knows no boundaries and differences. Therefore, Now how can we categorize the devotion of various devotees? 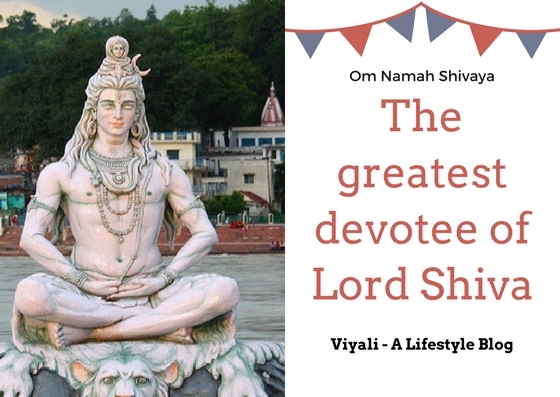 In this post, we have shared the information about the greatest devotee of Shiva. Please feel free to share the post; your single share will inspire us.